April 12th is National Grilled Cheese Day. Grilled Cheese Sandwiches are one of the most loved comfort foods that I think it’s fitting that they get they own special day. Typically, grilled cheese sandwiches are a cheese slice between two pieces of buttered bread that is fried until golden brown. I enjoy dipping mine in a bowl of tomato soup.
! I can now make four grilled cheese sandwich in under 5 minutes flat! 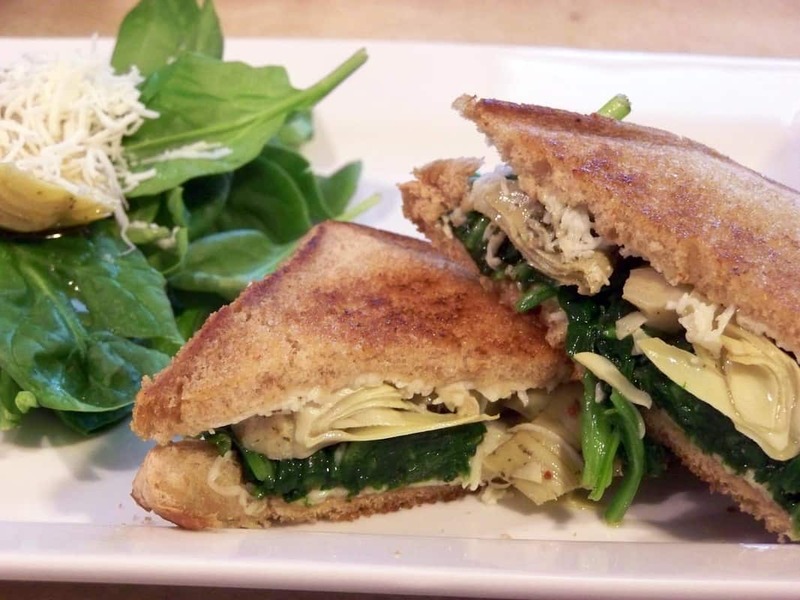 There’s a TON of variations of this classic sandwich. It can be dressed up any way you like taking the taste experience to a whole new dimension. I’ve found a number of different ways you can make grilled cheese sandwiches. 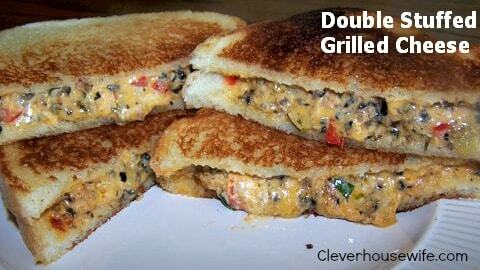 Why not celebrate National Grilled Cheese Day by making one of these delicious recipes? Thanks so much for sharing my recipe! Looks like it will be a fun party! 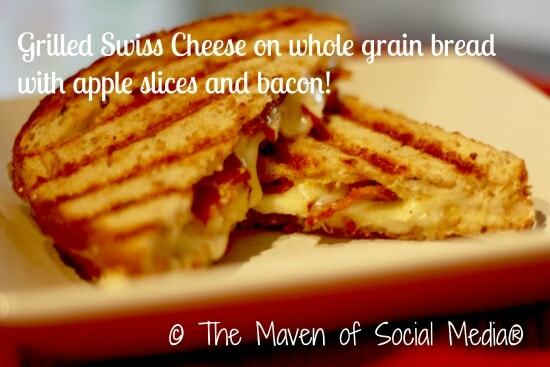 And really, who doesn’t love grilled cheese??? Great collection! Thank you for including my grilled cheese! 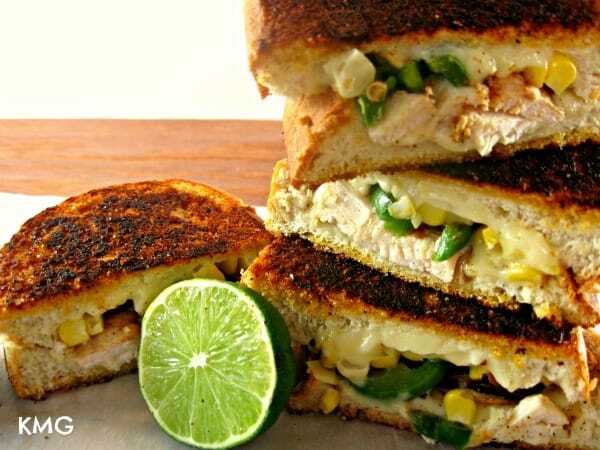 I love Grilled Cheese sandwiches and my favorite on this post is the Ooey Gooey Mexican Grilled Cheese. I am going to make it for dinner this week. It looks so delicious! Hello, Stacie. There are so many recipes to choose from. The one I would like to try first is the Chicken & Broccoli Grilled Cheese. They all look so good. I had never though of dressing up a grilled cheese sandwich in so many different ways. Thank you for this post, Stacie. And here I thought a grilled cheese was a grilled cheese! LOL! Thanks for all of the great ideas. I’ll have to pick a good grilled cheese recipe to celebrate the big day. 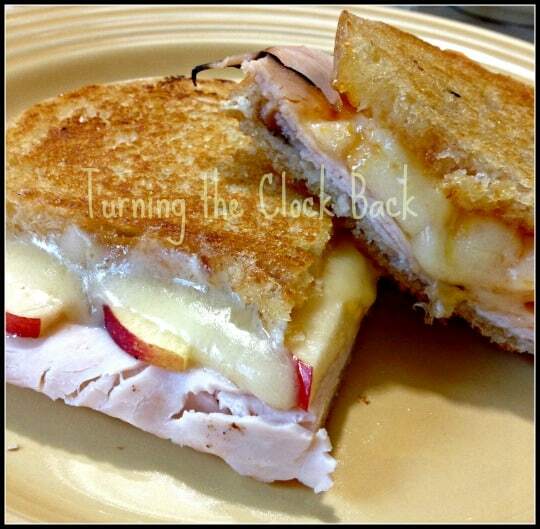 Thanks so much for sharing my grilled turkey with brie. My husband SO wants a panini press! Awesome prize! I love grill cheese! these are awesome! 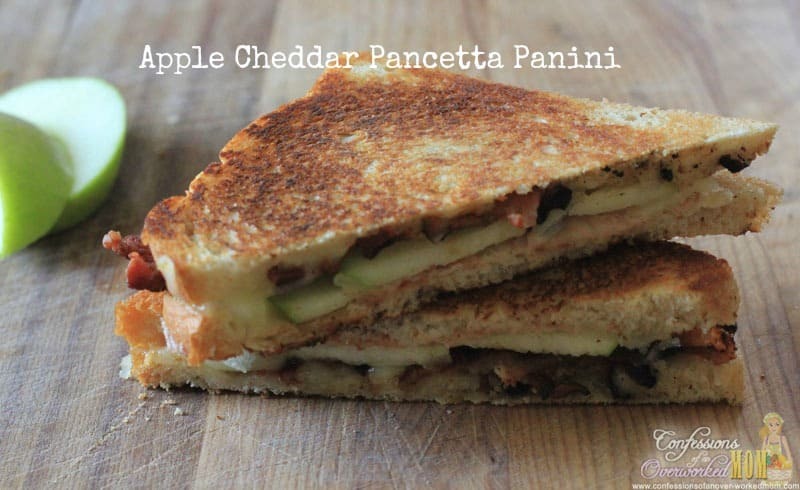 I love grilled cheese sandwiches, wow let’s just say “These aren’t your Grandma’s sandwiches” I think I would love all of them..
Apple Cheddar and pancetta…sounds amazing!! 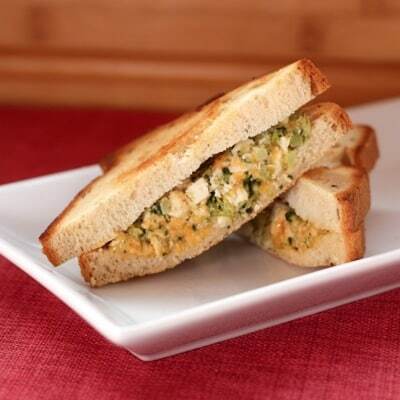 The chicken and broccoli grilled cheese sounds so good too! The most interesting thing I’ve ever done was put bacon and a different kind of cheese. These all make my mouth water! 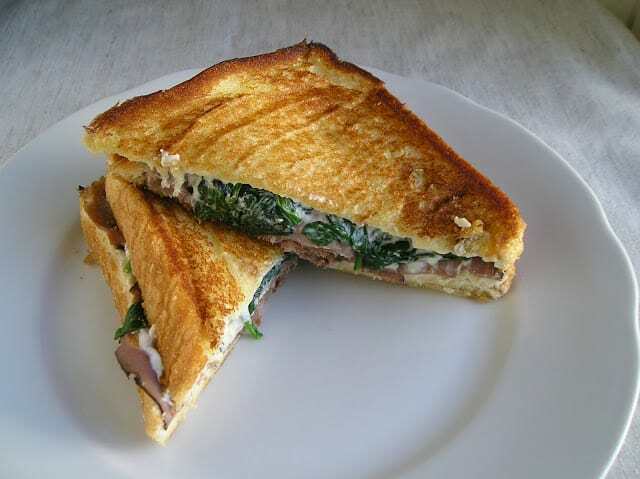 Grilled cheese is a simple sandwich but is memorable for me: a couple of Sunday afternoons each month, my Dad would make us grilled cheese for lunch. They were so yummy! Hubby makes great grilled cheese, too. We just bought a panini press, so I’ve pinned these to give us some inspiration. Who knew there was a national grilled cheese day….hmmmm. Oh my God! You took my favorite comfort food and gave me so many different options. I love you! I’m salivating right now. I want a grilled cheese sandwich right now! The day is almost here! There are so many varieties and options…what to choose!? I like having grilled cheese, ooey, gooey, and comforting! I recently saw the recipe for the jalapeno one and have been wanting to try it. 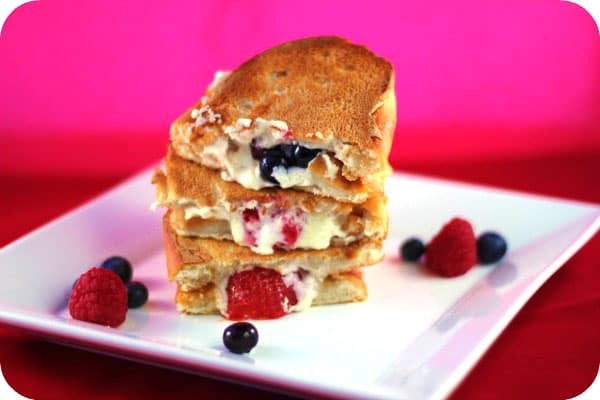 I never thought of making it into more of a dessert like the berry sandwich…Interesting! Grilled cheese sandwiches are something everybody like. So many yummy ones you have shown that I never would have thought about . The one with apples and bacon sounds delicious. My favorite is a sharper type cheese on rye bread and tomatoes soup to of course. Great recipes! I will be trying some of these for sure! There are a few that sound delicious! Mmmmm! SOme really great sounding grilled cheese variations! I love the sound of the jalapeno popper one! these look good! Now I’m going to have to try some! 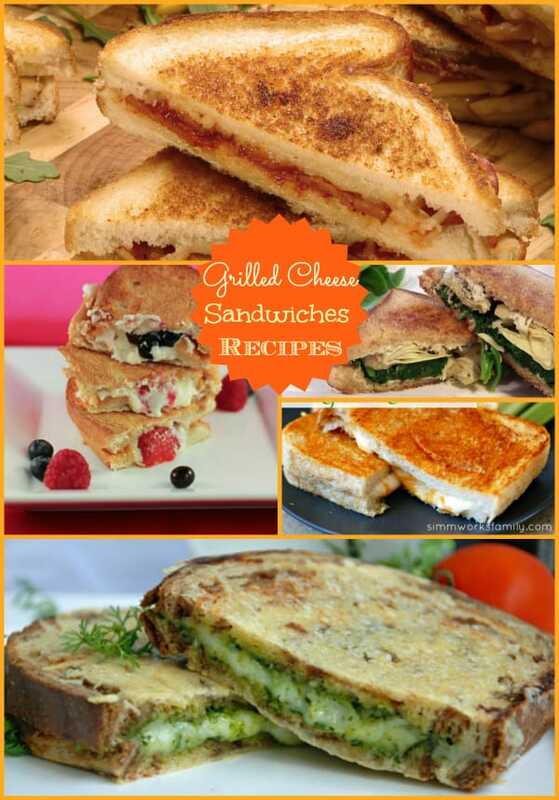 Mmmm those grilled cheese recipes all look delicicious. I used to make mine in a frying pan too until we moved to an apartment that had no stove! Great twitter party last night! What a great assortment of grilled cheese ideas! I will have to try a few! 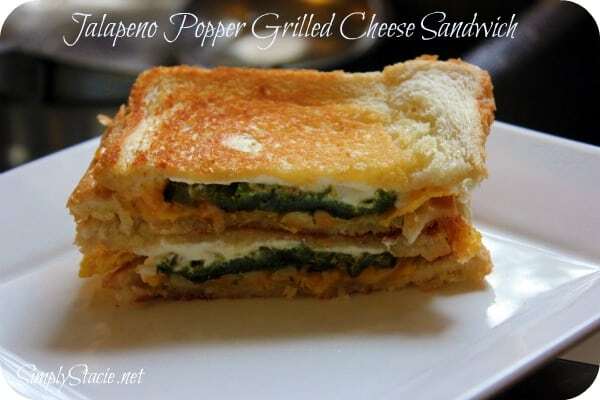 I have GOT to try the Jalapeno Popper Grilled Cheese Sandwich! So yummy! 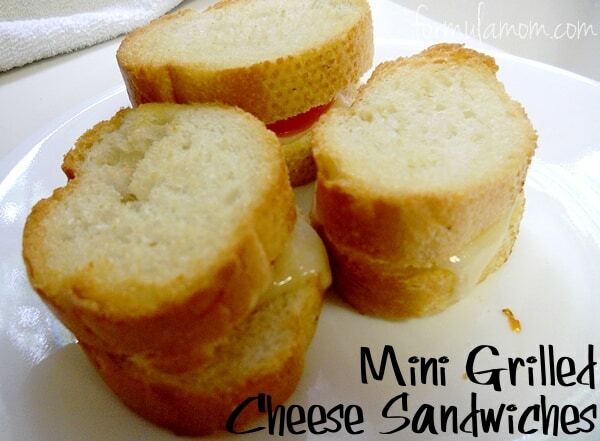 Thanks for sharing these ideas – always like to add some variety to grilled cheese. I participated in the Grilled Cheese Twitter Party. I have learned of many different ways to cook and combine different ingredients to make tasty interesting grilled cheese. The variation has been great & I thank you for these new ones! Thank you for posting these, there are some really great ideas here!! oh these look like a great try! 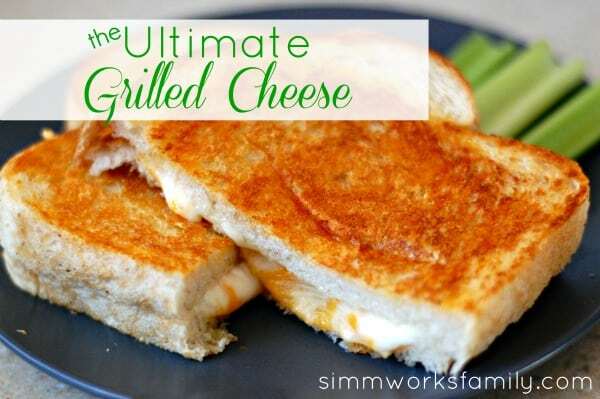 So many great grilled cheese ideas, I will definitely have to try out a few of these. Thanks for sharing. We love grilled cheese and eat them quite a bit when the grandkids come. I had never thought of the combinations but sure will try these out. The spinach and artichoke one I can’t wait to try. We eat tuna salad grilled cheese all the time. Thanks for the recipes. YUM! Thanks for sharing these.. definitely a step up from the standard cheddar cheese and white bread variety.. OMG!! I think I just died and gone to heaven! Melted cheese is one of my all-time favorite comfort foods. These are such delicious variations of Grilled Cheese. Now, I’ll have t make my way down the list and try each one. YUM!!!! The main reason why I gained a ton of weight my senior year in high school and my first year in college? Two words. Grilled Cheese. The good old fashioned kind. Wow, these looks so delicious, never even knew there was so many variety and options. Awesome sauce! These look wonderful! 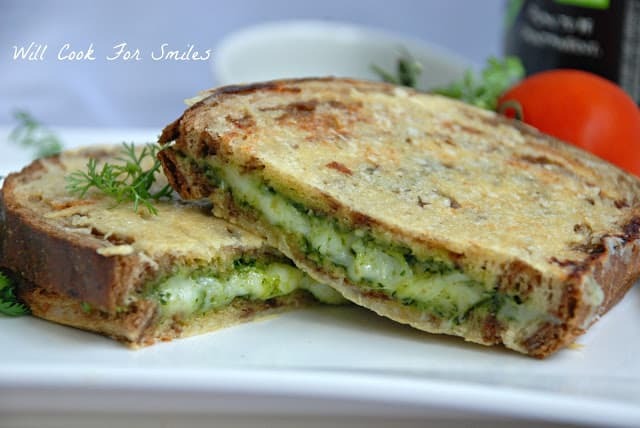 I wish I would have had the recipe for the Parmesan Crusted Pesto Grilled Cheese on St. Patrick’s Day.